Along with Harry, Hermione and Ron, every Harry Potter fan too would have learnt about the “Bezoar” in the first year Potion’s class. Did you know the word ‘Bezoar’ had an Arabic connection to it? We should learn the concept of coexistence from languages – Every language is influenced by other languages across borders, culture and centuries. Did the Harry Potter books inspire you to get into the habit of reading as a teenager/young adult? No, it didn’t. But Harry potter did help me fall in love with etymology. Thus was fascinating! Thank you! I cannot seem to find your blog link and the A to Z posts. Can you please share it here? Interesting connection! I’m looking forward to more fascinating tidbits! I was a reader before Harry but I think of him and the rest of the gang as childhood friends. I grew up with them. And this theme of yours is great for me because I’m currently living in Iran and will move to Qatar in a few months so it’s like a head start on my arabic studies. I too grew up with Harry Potter and Enid Blytons books. Interesting background to the studies of the students of Hogwarts. I hope you enjoy your A-Z experience. I read the Harry Potter books to my boys but my favorite was listening to them while driving to work. The reader in the audio version is FANTASTIC!!! 🙂 Thank you for reading through. thanks Shahira .. not an HP reader but interesting nevertheless! Harry Potter books are some of my all time favorite books, but I was a reader long before they came out. I was an adult when the first one came out. Interesting blog! 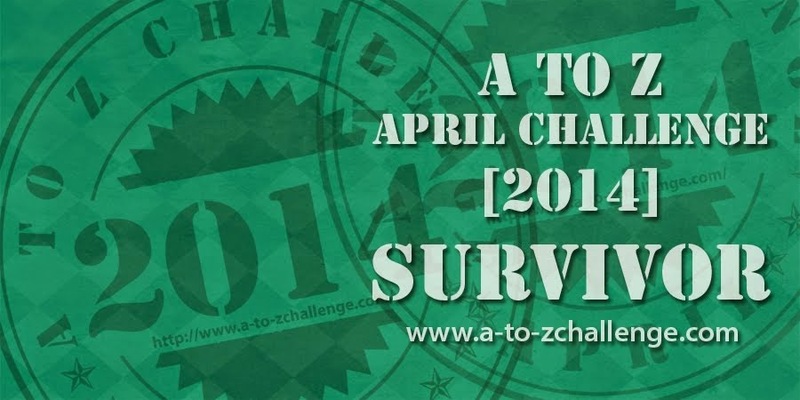 Hope you are enjoying your A to Z Challenge as much as I am.